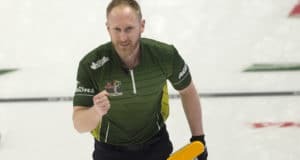 Manitoba’s Colin Kurz and his team from the Assiniboine Memorial Curling Club scored early and protected its lead to win the 2019 Canadian Mixed Curling Championship. The 21-year-old skip bested Nova Scotia’s Kendal Thompson (Mayflower Curling Club) 7-4 in the final. 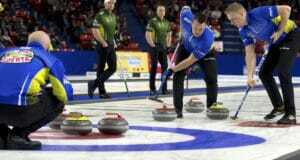 Kurz secured the victory in the eighth end with a high-weight shot to remove Nova Scotia’s shot stone. While the shooter didn’t stick around, Manitoba scored two and picked up the win in front of friends and family at the Fort Rouge Curling Club in Winnipeg. 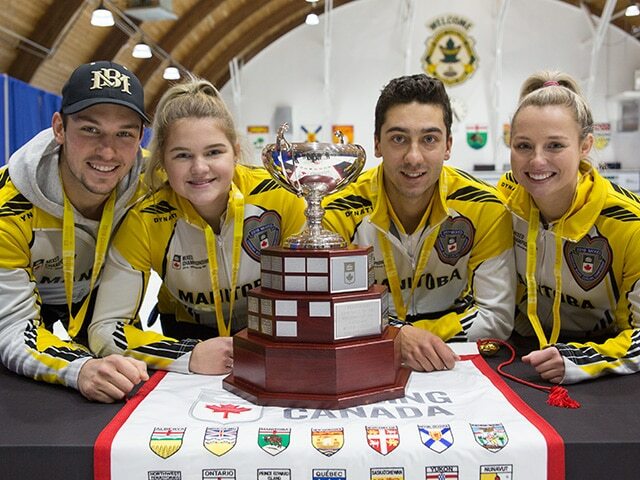 With the win, the young team becomes the first to win the Canadian Mixed title in their home province since Dean Ross of Alberta did so in 2008. Kurz, third Megan Walter, second Brendan Bilawka and lead Sara Oliver won eight of their last nine games to win the championship. The crowd was certainly on their side during the final game. While Manitoba missed its opportunity for a deuce in the opening end they contained Nova Scotia to a single in the second. In the second, a Manitoba double to sit three forced Thompson to draw for a piece of the button to score one. In the third, Manitoba played a draw to the four-foot with backing for a point and 2-1 lead. Kurz and his team increased their lead in the fourth end. Nova Scotia needed to hit and stick for one, but Thompson’s toss was wide. While it removed one Manitoban stone the shooter rolled out of the house, resulting in a steal of two and 4-1 lead for Manitoba halfway through the game. “It would have been nicer if I made a couple of more shots, but it worked out in the end. I was a little frustrated in the first four ends. I couldn’t seem to finish off ends. You try to look at it as just another game, but obviously it’s not just another game, it’s a national final so nerves do end up coming to you little bit,” Kurz said. Thompson started the second half of the game well and cut into the lead to trail 5-3 over the following two ends. He slipped his takeout shot by some traffic to score two in the fifth and forced Kurz to make a draw to the button for one in the sixth. “At that point I was kind of feeling confident with the way I was throwing the rock,” Kurz said. Nova Scotia missed out on an opportunity to even the score in the seventh. Kurz missed his final shot, a double attempt, and left Nova Scotia with a draw for two. However Thompson’s shot was light, and Nova Scotia settled for one. It also gifted Manitoba a one-point lead with hammer heading into the last end. Kurz credits his teammates for playing a big part in winning the event. Walter, at age 16, is the youngest athlete in the field at the 2019 Mixed Championship. Bilawka, along with Kurz, represented Manitoba at the 2018 New Holland Canadian Junior Curling Championship and won bronze with JT Ryan at skip. The pair also won the 2015 Canada Games. Oliver has also been the national junior championships twice and earned first-team all star honours on both occasions. But this will be the first time any of them have worn the Maple Leaf on their back. 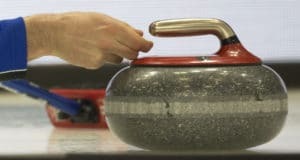 The team will represent Canada at the 2019 World Mixed Curling Championship (location and dates are to be announced by the World Curling Federation). Kurz follows in his mom’s footsteps. Lynn Fallis-Kurz won the Canadian Mixed championship in 1988 and 1991 with Jeff Stoughton. 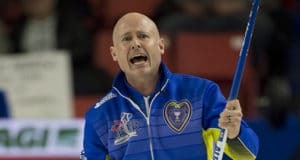 In the bronze medal game Quebec’s Félix Asselin and his team from the Glenmore, Laval-sur-le-Lac and Baie d’Urfé Curling Clubs defeated Ontario’s Wayne Tuck of the Ilderton Curling Club 7-6 in an extra end. It is Manitoba’s ninth Canadian Mixed gold medal; previously, Sean Grassie won in 2009 at Iqaluit, Nunavut; Jeff Stoughton won in 1991 and 1988 in Thunder Bay, Ont., and North Bay, Ont., respectively; in 1980 Jim Dunstone won the championship in St. John’s, N.L. ; Harold Tanasichuk won in 1977 at Halifax; Barry Fry was victorious at Charlottetown in 1973; and Ernie Boushy won two titles in Toronto – in 1966 and the inaugural championship in 1964.